As the holiday season starts one of the hardest decisions people are going to make is “What wine should we drink with…..”. This post will give you a quick ides of what to look for at your favorite wine retailer. Pinot Noirs is a versatile grape that will go well with turkey, ham and and all the fixings. Oregon, California or the Burgundy region of France are the ones to look for. You’ll want a well balanced Pinot that can stand up to all you will be enjoying them with. Expect to pay about $20 for a good, solid Pinot Noir. Beaujolais is another red wine that works well with holiday meals. Made from the Gamay grape from the Burgundy region of France, Beaujolais is lighter and fruitier than Pinot Noir. Beaujolais Nouveau is released on the 3rd Thursday of November and is from the most recent harvest and is a celebration of the harvest. Beaujolais should run less than $20 and Nouveau should be less than $12. Robert Craig has been in the wine industry for over three decades having been General Manager of Hess Collection Winery and helping to emphasis the the unique qualities that mountain fruit can have when making wine. Mountain fruit is better structured, concentrated than valley fruit & can age better. He’s helped develop hundreds of acres on Mt. Veeder & when he started his own winery in 1992 he wanted to use fruit from both Mt. Veeder in southern Napa Valley & Howell Mtn. further north and across the valley. He also makes a limited wine from Spring Mountain. Known for their big style Cabernet Sauvignons Robert Craig Winery has garnered not only some great press over the years, but also a cult like following. I had the chance to see Robert once again when he was in town and taste some recent releases. I also had a chance to chat with him and he is looking forward to the 2010 vintage and says production could be lower than previous vintages. Here is what I tasted with Robert and my thoughts…. The 2009 Durell Vyd. 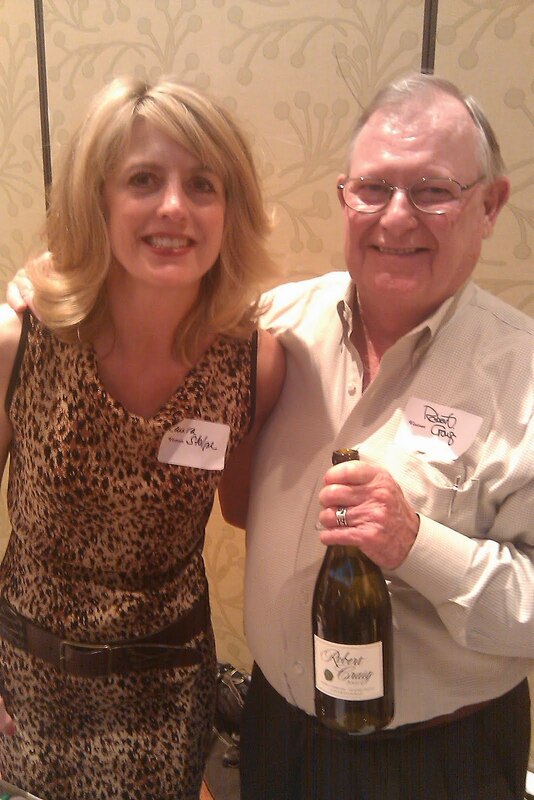 Chardonnay Sonoma Valley was just released and I was one of the 1st people to taste it. 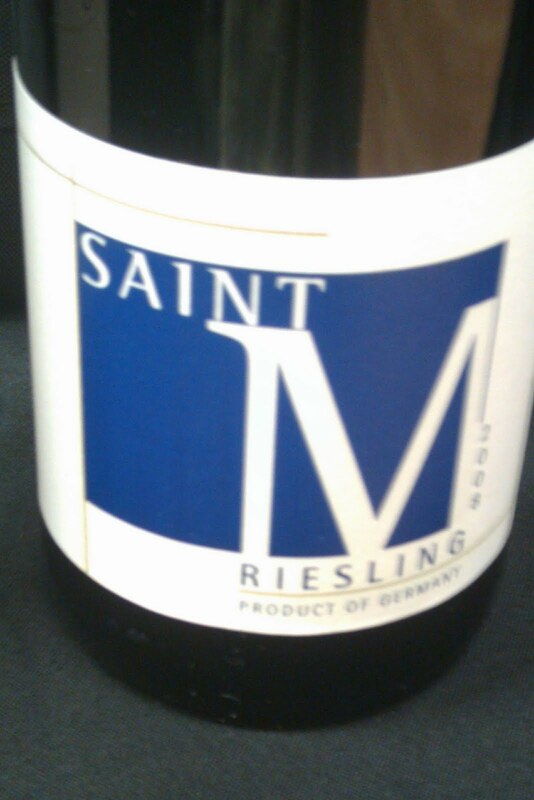 Lively and soft I found it very well balanced with good fruit, oak & mineral characters. Only 588 cases produced. The 2007 Howell Mtn. 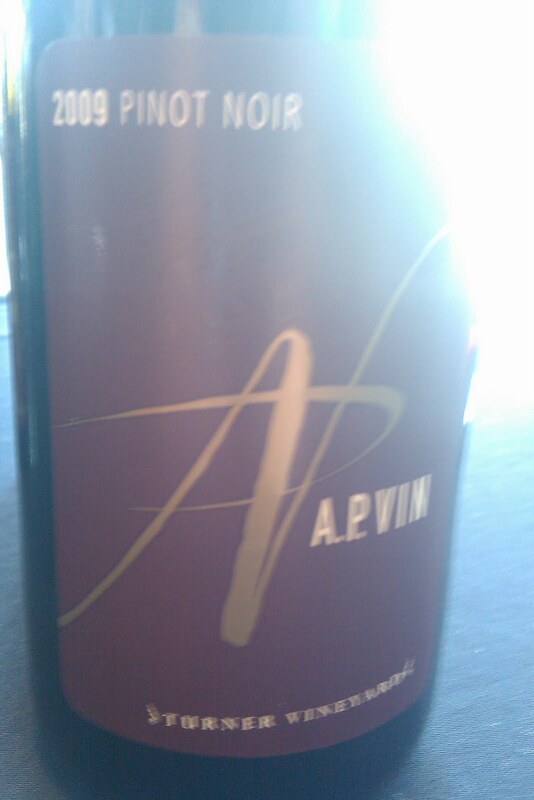 Cabernet Sauvignon had big tannins, a good fruit character and nice long finish. Built to last (like all his Cabs.) this shows the depth of how mountain(2,300 ft up) fruit differs from valley fruit. He recommends decanting. 1,488 cases produced. The 2007 Mt. Veeder Cabernet Sauvignon has softer tannins, bigger concentration of fruit combined with good acidity and see’s almost 2 years in french oak barrels. One of his most age worthy wines and patience will be rewarded. 1,480 cases produced. The 2008 Affinity Cabernet Sauvignon is considered by many to be his flagship wine. A Bordeaux blend of mostly Cabernet, followed by Petite Verdot, Merlot, Cabernet Franc & Malbec offers some unique flavors thanks to the mix of grapes and changes from year to year. Currants and spice are prevalent along with a medium body make the 4,780 cases produced always a winner with the consumer and the press. He also makes small amounts of Zinfandel and a Mt. George Cuvee. His wines are not found everywhere, but they’re well worth the search. So next time you’re looking for a big Napa Valley Cabernet or if you’re a collector Robert Craig wines needs to be in your collection. You won’t be disappointed. I recently had the pleasure of joining about 12 other lucky souls who had the chance to taste 2 of Fleming’s Steakhouse new programs and their new release of their own wine 46 Diamonds. We were hosted by Scottsdale’s Operating Partner Michael Head who guided us through our experience. Here is what Flemings has to offer. We were greeted with a new cocktail just in time for the holidays The Merry Maker’s is made with Maker’s Mark bourbon and Chambord then shaken with orange, pomegranate & cranberry juices. Quite a tasty cocktail and as one guest said “I don’t like bourbon, but I really like this”. Your choice of Oysters Rockefeller or Autumn Salad for appetizer then for an entree your choice of Veal Osso Bucco or Cioppino. For dessert you get a slice of Dark Chocolate Cheesecake. All were very good and everybody enjoyed what was tasted so far. I really enjoyed the Oysters Rockefeller. The Prix Fixe menu costs $39.95 per person and runs through Jan. 3 2011. We then moved on to The Memorable Meal for Two which is The Cellar Master’s Filet & Maine Lobster Tail. You start with a Caesar Salad with a King Crab Crostini followed by Filet Mignon & Maine Lobster Tail and a side of Maple roasted baby carrots. For dessert you’re served Carrot Cake with Dark Rum Caramel. I’m not a big carrot cake fan, but this may have changed my mind. All for $99 for 2 dinners. This runs through Dec. 15 2010 so hurry and reserve this soon. We were also treated to the new release of Fleming’s own wine Forty Six 46 Diamonds. This years bottling is a collaboration with Fleming’s Director of Wine Marian Jansen op de Haar & Schug winery team of Sonoma County. This Cabernet Sauvignon is blended with Cabernet Franc, Syrah, Merlot & Malbec from very reputable vineyards in the Sonoma Valley.It is medium bodied with with good tannins and fruit and showed a very elegant, long finish. A nice compliment to any meal you may be enjoying. Only 388 cases were made of this and can be had by the glass for $16.50 or $65 for a bottle. Make reservations soon for these limited time specials and even more limited wine.